Once you connected your prefered Payment Gateway Processor to accept payments and have created a Custom Pay-Per-View Package. You can set your chosen media such as Videos, Live Events, WebTV Players, IP Cameras or even Audio files to be Pay-Per-View. In this tutorial we will be setting Individual Media files to Pay-Per-View. If you want to learn how to set and entire playlist to Pay-Per-View please see here. If you want to check out some Pay-Per-View Demos and extra information please visit our Pay-Per-View information page. 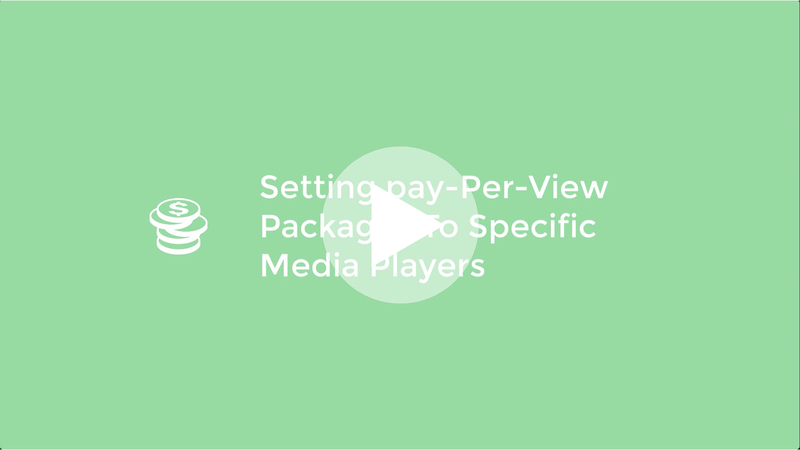 To set a Pay-Per-View Package to individual videos you would simply go to your Media Section. Select the video you would like to change set to Pay-Per-View. With the video selected click on the Monetize tab in the video settings bar. You have now set your chosen Pay-Per-View package to your desired Media.